Championship title-chasers Newcastle welcome Aston Villa to St James’ Park on Monday night. Whilst the Magpies look to extend their 6-match unbeaten run, the Villans are seeking their first win in nine. Here are out betting tips and predictions. Newcastle have won 10 from 15 home matches this season. 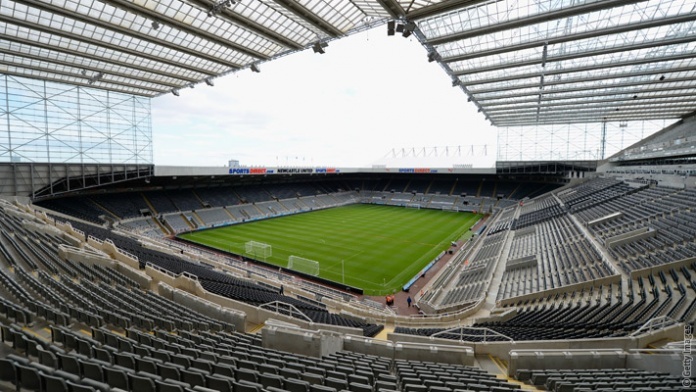 In 67% of matches at St James’ Park there’ve been over 2.5 goals. Four of the last five head-to-heads have finished as draws. That includes this season’s reverse fixture, when they played out a 1-1 stalemate at Villa Park in September. Villa have won just two matches on their travels this season from a possible 16. Over 2.5 goals has happened in 25% of their away matches. Vurnon Anita is still recovering from ankle trouble, while Rolando Aarons remains a long-term absentee. Rafa Benitez has plenty of options up front, with top scorer Dwight Gayle returning to fitness. Miles Jedinak is battling a groin problem while Gabby Agbonlahor remains a doubt after suffering a hamstring injury in training last month. James Bree and Neil Taylor could be passed fit. There’s quite a contrast in form between Monday night’s opponents. Newcastle are currently on a six-game unbeaten streak, winning four of those matches. Villa, meanwhile, have lost four consecutive games and are without a win in eight. The Magpies face a title showdown with Brighton in a couple of weeks, and Benitez’s men will see that as an opportunity to finally pull ahead in the race. To do that, however, they first need to win the games that come before – including this one. Taking into account the home side’s need to win, and Villa’s atrocious form on the road, it’s hard to look past a home win. They’re the bookies favourites, with William Hill offering slightly better odds than the rest at 7/10 for a home win. Newcastle have started games extremely quickly recently, scoring a first-half goal in their last six games. Villa, meanwhile, have conceded a first-half goal in five of their last seven. Back the home side to score before the break at 17/20 with William Hill. Benitez certainly isn’t short of attacking options. Top scorer Dwight Gayle is finally back in business after coming off the bench in last weekend’s draw. He’s scored 20 goals in 22 games for the Magpies, averaging a goal every 88 minutes – the best ratio in the league by far. He should get the nod ahead of Daryl Murphy and Aleksandar Mitrovic, so back him as an anytime scorer at 23/20 with 888sport. Otherwise, go one better and get Gayle to score and Newcastle to win at 33/20 with 888sport.